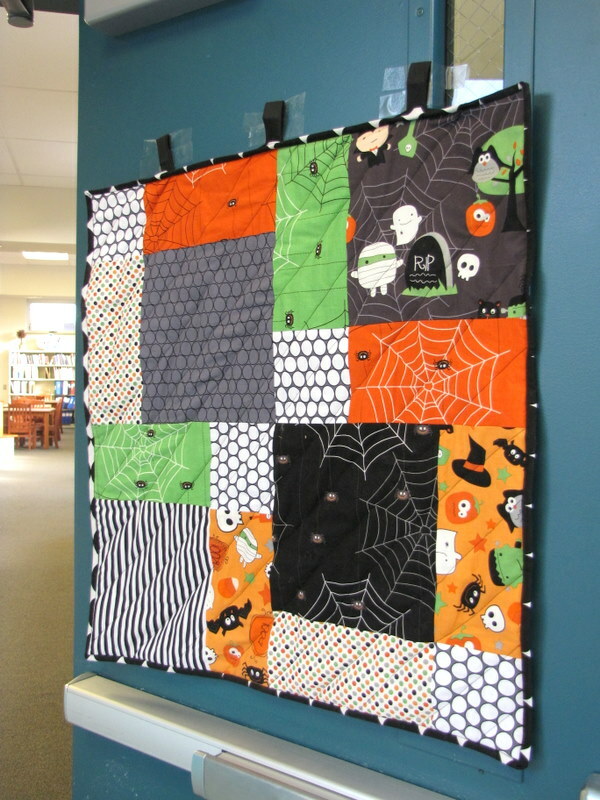 After I finished the Spiderweb Quilt I wanted to make another quick, small Halloween quilt to take to school. I still had fat quarters left from the BOO! TO YOU! collection from Riley Blake, so I decided to make a disappearing 9 patch like the couch cushions I made last spring. I really like it, and the kids were excited to see it hanging up in the library today. 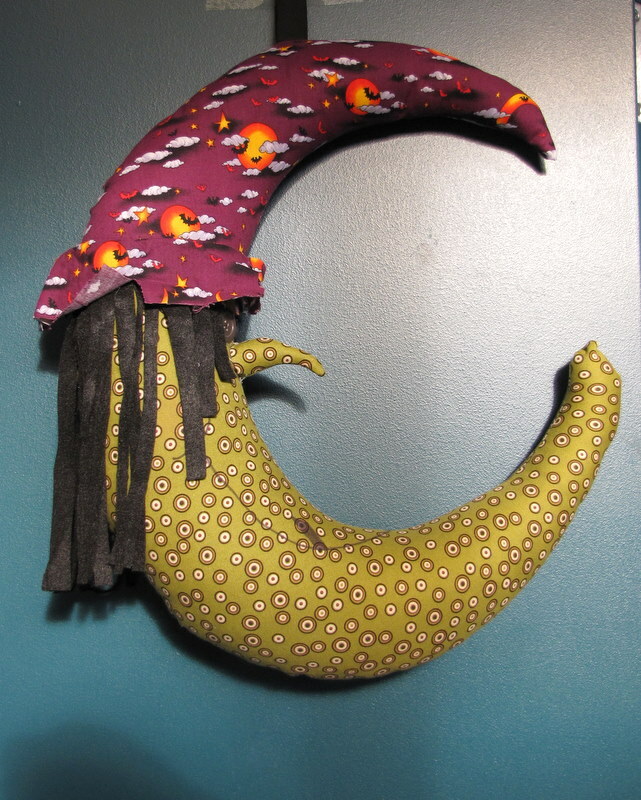 My Witch Wreath is on the other door to the library, settling into its new home. 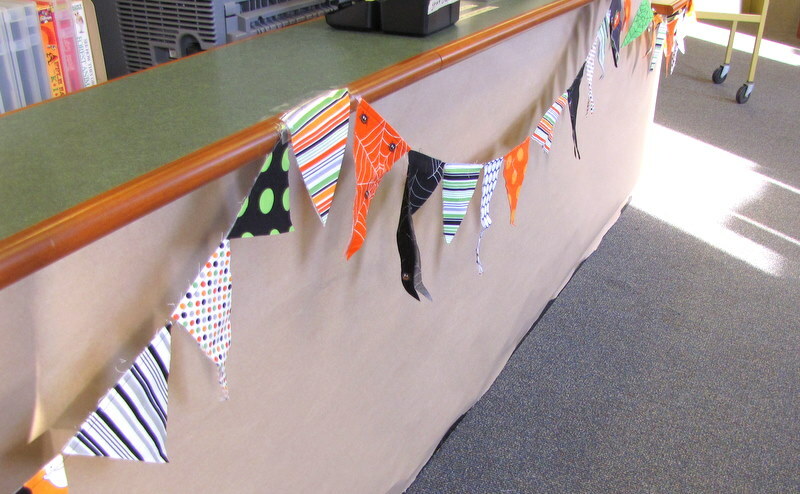 With the fabric I had left over I made bunting, some hanging from our porch and some from the circulation desk at school. And the last touch is this really cute Boo! 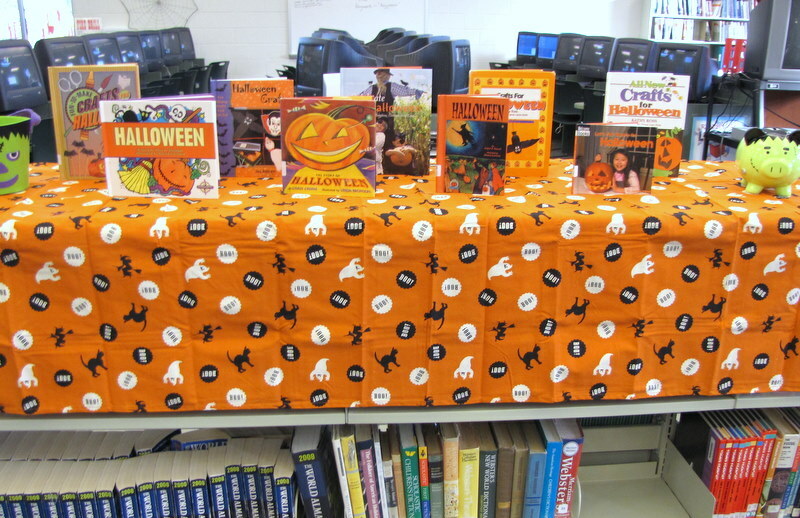 tablecloth I bought at Target this past weekend. I also bought a Frankenpig for school, that’s him on the right. I couldn’t resist after buying the other two.